SMACCGOLD airway workshop blasted off today, lead by John Vassiliadis who assembled a cracker faculty of anaesthetists, emergency physicians, PHARM docs, ENT surgeons and rural docs. I was tasked with Essential airway skills with Nicholas Chrimes, Anthony Lewis and Todd Slesinger an EMCC doc from Long Island, New York. There was a real buzz as we convened in the main room to start the session. Nick and I had spent the evening before setting up the gear so I had met him then for the first time ever! He is exactly as I imagined him to be! Larger than life, passionate about his beliefs in education and airway management, honestly funny. Oh what a saga the day before was! 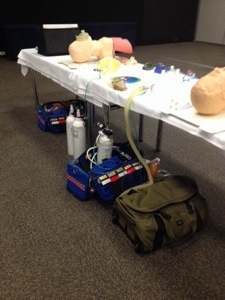 We had arranged to borrow some oxygen cylinders from QAS training centre and I gave him the contact to liase with. 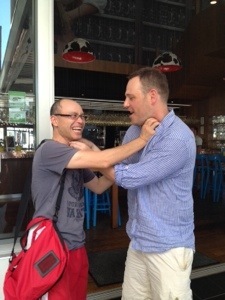 Typical Nick turns up, without any notification , says he is a Melbourne anaesthetist wanting some oxygen for a medical conference…then when no one knows who he is..he calls me up! I could have murdered him! Anyway after a few mad calls it all gets sorted and he gets to the venue with the oxygen. Well We taught the VORTEX approach and Nick was a real showman! We demonstrated the MAC3vs4 blade competition and whilst I mostly lost that competition, I did win one bout! 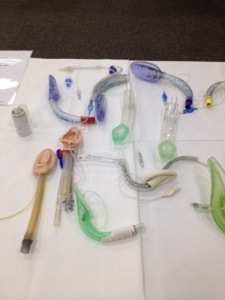 I taught the supraglottic airway skills, covering insertion tips and tricks of LMA Classic, LMA Supreme, Fastrach LMA. Nick true to his word, demonstrated the Mapelson circuit for face mask ventilation. After the oxygen saga the day before, there was no way we werent going to use it! Anthony and Todd taught the tracheal intubation and laryngoscopy station, going through head positioning, external laryngeal manipulation, bougie, stylet, different blades like straight and McCoy. the 3 hours whirled by, I met some new faces(those I only knew via social media)it was a blast! 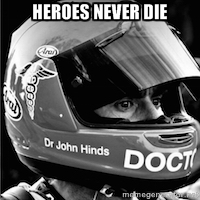 The SMACC team had the session video recorded…well at least Nick was ,so VORTEX will be immortalised on film.